One of my favorite professors was fond of saying that every book teaches you how to read it as you read it. I always think of that observation when I write my first review of a show I’ve never covered before, because I believe—and hope—that every show will, eventually, teach me how to write about it. Writing, like reading, is a process; it’s not a product. I can’t figure it out ahead of time: the only way I know to learn how to write about something is to just plunge in. So I hope you’ll bear with me through these first faltering, floundering reviews of Bryan Fuller’s Hannibal. As I sit down to write about the third season premiere, “Antipasto,” I honestly don’t have the foggiest notion where I’m headed. In fact, my decision to cover this show at all came more from a vague hunch and a nagging curiosity than it did from any definite plan. 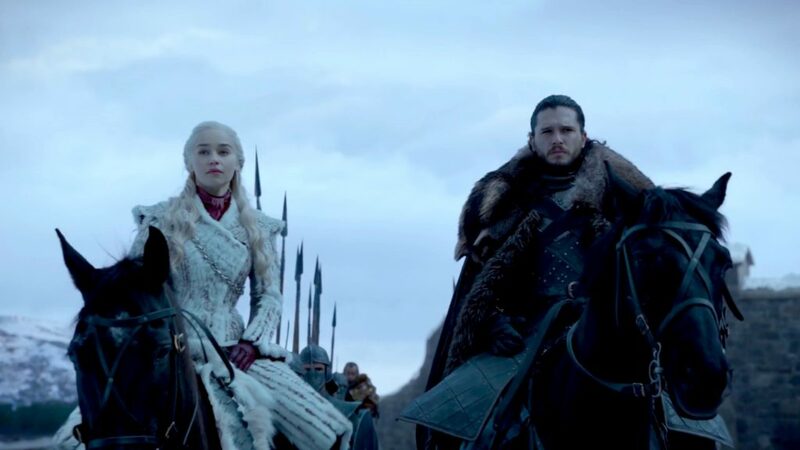 I’ve been watching and enjoying the series from the beginning, but I’ve neither thought nor worried very much about what it all meant. 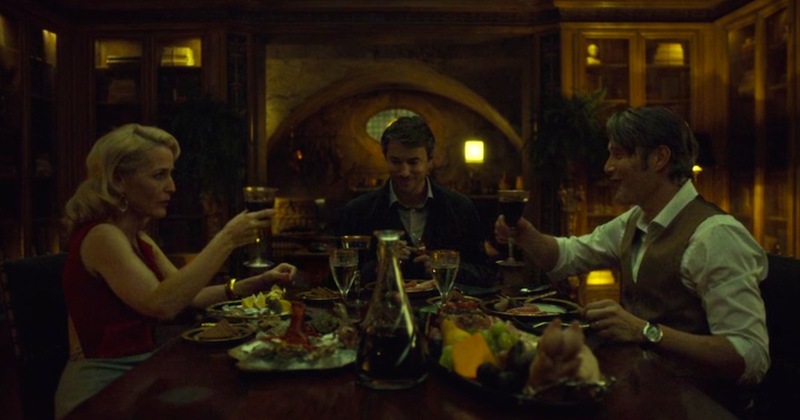 I wasn’t sure it meant anything, and I didn’t much care: audacious, absurd, operatic, and absolutely gorgeous in its grotesqueries, Hannibal seemed more like a banquet for the senses than any sort of appeal to the mind or heart. “One can appreciate another’s words without dissecting them,” Hannibal Lecter (Mads Mikkelsen) says this week. “Though, on occasion, dissection is the only thing that will do.” For its first two seasons, I came to Hannibal as an appreciator, content to leave my scalpels in the tray. However, at some point during the second season, I began to get the urge to open this beautiful monstrosity up and root around inside it. Even if Hannibal was “just” a sensory experience—not that there’s anything wrong with that—it was such an interesting one that I knew I wanted to write about it. Serial-killer shows are a dime a dozen, and before this series premiered I would have said that depictions of this specific serial killer had over-saturated the market. But I’m not sure anything quite like Hannibal has ever been on television before, and certainly not on network T.V. There have perhaps been shows as audacious, and there have perhaps been shows as grotesque, but none of them has featured such fascinating and delightful contradictions. Visually, Hannibal manages to be both staggeringly repellent and startlingly lovely. Narratively, it frequently exercises both ridiculous excess and elegant restraint. Tonally, it can be bleakly, nihilistically dark, but there is also a rich seam of black humor that catches light and glistens in the darkness. The entire series is a lavish, Grand Guignol high-wire act, dancing precariously on the edge of a knife. But is it also something more than that? Is there a message in the madness? This show—for obvious reasons—is fond of culinary metaphors, so let me put it this way: is Hannibal just a rich and indulgent desert, or does it have actual nutritional value? That’s one of the questions I’m hoping to explore throughout this season. We are accustomed to seeing Hannibal Lecter at rest: the most iconic images of him from the films are of his being contained—in his cell, restrained to his dolly—but even on the series we think of him as an indoor cat: sitting across from Will Graham in therapy sessions, or sitting at the head of his table presiding over an exquisite dinner. His power is in stillness. This is particularly true, I think, of Mads Mikkelsen’s incarnation of the character, for his is surely the quietest, most internal Lecter we’ve ever gotten. Bryan Cox had the lazy, languid air of a well-fed tiger at rest, and Anthony Hopkins—even, or especially, in repose—had a caged, coiled, barely contained energy that felt like it could explode at any moment. Mikkelsen’s calm, almost placid approach is different, and in many ways richer: we could read the madness in Cox and Hopkins, but Mikkelsen is unflappable, inscrutable, and ultimately unknowable. What we see is not who he is: it is merely, as he says this episode, a “person suit,” one he does not always bother to animate. Lecter’s personal energy doesn’t necessarily change in “Antipasto,” but the energy of the show itself seems reinvigorated right from the opening shots: with the turning of a key we see fuel exploding in internal combustion, causing engine cylinders to pump; the light of a taillight resolves itself into the moon, and then into a headlight, and then we pull back to find the City of Lights as a figure in black zooms and weaves through the streets of Paris. Death rides not a pale horse, but a motorcycle: Dr. Lecter is in motion. As always, all that visual flair is important to this show. Hannibal consistently has some of the most stunning cinematography ever seen on television, and it serves a purpose beyond making the show undeniably pretty. Though it doesn’t include fantasy or science-fiction elements, the show does not take place in the “real world,” exactly. 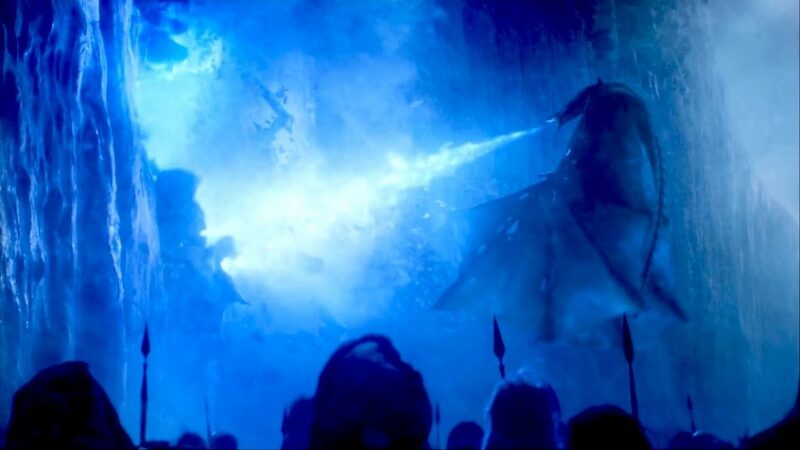 Even when it is not presenting hallucinations and dreams on-screen—as it frequently does—the entire show exists, like opera, in a deliberately heightened reality, where everything is more vivid, more stylized and intense, operating on an emotional and intellectual logic all its own. The show has fun poking fun at its own dream-logic on occasion—as when Cynthia Nixon’s character pointed out last season that Will and Jack’s plan to catch Hannibal was clearly insane—but Hannibal‘s overly-saturated style helps us to suspend disbelief and just marinate luxuriantly in its world. We enjoy the experience so much we’re less inclined to question the logic. There’s an extent to which I think we can say that the stylized visual language of Hannibal represents what Hannibal himself represents: the dark side of humanity, the world of madness and evil that lies just beneath the surface of our fragile pretensions of civilization. In the first two seasons of Hannibal this heightened, dreamlike reality was something that increasingly encroached on the muted, so-called “normal” world. It was the reality that the killers being hunted by the FBI saw, and which they tried to recreate in absurd, shocking, frequently gorgeous tableaux that announced their disconnection from normality and drew others (like Will Graham) further into seeing the world the way they saw it. What’s thrilling about the third season premiere, however, is that we have left the dull normal world behind completely. There is no longer a disconnect: we are living inside Hannibal Lecter’s reality now. He always seemed slightly out of place in the fields and homes and offices of 21st century America, but now he is wholly in his element, in a place where he himself finds peace. (Note how his memories of life in America are in dull black-and-white, all the color bleached out of them: now he’s living in color.) Moving into a Renaissance palazzo in Florence, surrounded by beautiful art and architecture and instruments of torture, it’s as though we are inhabiting Hannibal’s “mind palace” itself. He is no longer the aberrant predator stalking through our world; we have taken up hesitant residence in his. And we are—like Bedelia Du Maurier (Gillian Anderson)—both attracted and repulsed by it. Bedelia is our audience surrogate, for “Antipasto” is a seduction story. We’re all attracted to what Hannibal Lecter represents, and we think we want some of what he promises, but “Antipasto” asks the important question: how much do we really want to live in Hannibal’s world? For Bedelia, like us, is irresistably drawn to Hannibal Lecter. Hannibal is charming; Hannibal has exquisite taste and manners; Hannibal knows how to live. Most importantly, Hannibal tells us that everything we want we should have, and that all of our very darkest desires and impulses should be indulged, not suppressed. “You really are The Devil,” Abel Gideon (Eddie Izzard) tells him. “The Devil has been a yoke on the neck of humanity since we first began to think and dream,” Hannibal replies. “I, for a much shorter time.” It’s an interesting response, because I think what he means is that the concept of The Devil has been a yoke on the neck of humanity: the whole notion of “evil” is something that represses and suppresses our true thoughts and dreams. Hannibal is not himself the yoke: Hannibal represents freedom from the yoke, in which do what thou wilt shall be the whole of the law. That’s an incredibly seductive idea: obviously, there’s a reason we have always been irresistibly drawn to depictions of evil. (Everyone loves Milton’s Paradise Lost and Dante’s Inferno, but Paradise Regained and Paradiso are bores.) 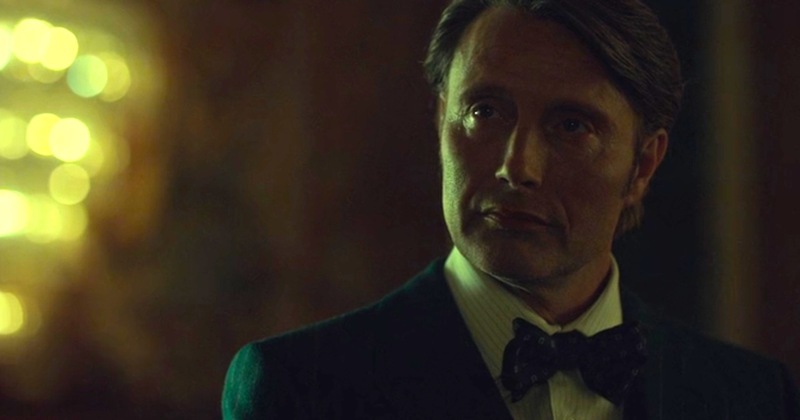 Like Bedelia, we want to flirt with the world that Hannibal promises, and we are “curious” to see what he will do, and we want to stand just as close to him as we possibly can without being, ourselves, either destroyed or damned. And it is not just spiritual tourism: we respond to Hannibal Lecter not as freak in a side show, but as a dark mirror that reflects our own unacknowledged selves back at us. Throughout the series I think most of us assumed that Hannibal had killed the patient who attacked Bedelia; now, as their history is fleshed out, we learn that she killed her patient—for reasons unknown—before Hannibal even showed up. “I know what happened,” she says to him, claiming it was self-defense. “Do you?” he asks her, but without judgement: he is neither shocked nor outraged at what she has done, but he wants her to understand it, just as he wanted Will Graham to recognize the parts of himself that made him so much like Hannibal himself. 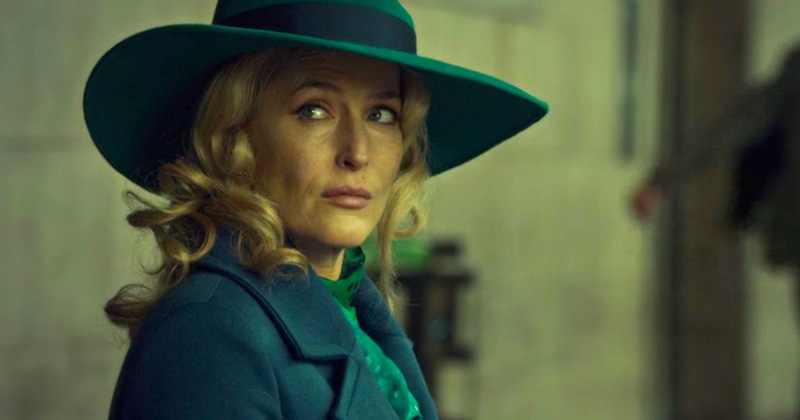 So her connection to Hannibal is not, as we might previously have thought, gratitude: it is an exploration of—and an attraction to—the side of herself that is capable of such things. But, more importantly, Hannibal’s question is a question for us as well: when we watch Hannibal, are we observing or participating? We speculate, we enjoy and thrill, we luxuriate in the aesthetics of this world and live vicariously through the actions of its inhabitants. We are, as Bedelia is, exploring our own dark sides in the process, and indulging in all the freedom and empowerment that Hannibal Lecter represents. He’s a mirror for us as well, and Hannibal—again, without judgement—wants us to acknowledge that we are just a little bit complicit in his crimes. As I’ve said, Bedelia is the obvious audience surrogate in “Antipasto,” but the episode hits the theme of our own seduction, instruction, and edification in other ways as well. “Now that ceaseless exposure has callused us to the lewd and vulgar,” Hannibal says to Dimmond, “it is instructive to see what still seems wicked to us.” That is one of the things Hannibal does for us: as Dimmond says, it “slaps the clammy flab of our submissive consciousness hard enough to get our attention.” It seems to me this might be one of Hannibal’s missions. In a sea of popular entertainment that has made violence and murder absolutely commonplace, it is actually difficult to force the audience to really grapple with the darker impulses of our souls. So this show goes to creative extremes to find and probe the tender places where we can still be shocked, and aroused, and provoked. It’s that kind of party. But what’s the cost of that? Because the other theme that runs throughout this episode is that what we consume has the power to change us. “Like all of us, what they eat greatly influences and enhances their flavor,” Hannibal says of the snails that feed on Abel Gideon’s severed arm; Gideon himself has been “smoked in thyme,” and later Bedelia explains to Dimmond—suggestively—that she watches what she eats because Hannibal is “very particular” about how she tastes. Bedelia thinks she can enjoy Hannibal’s world as a consumer, but what she is ingesting is changing her, altering her chemical composition, infesting her with the flavor of his madness. We think we can enjoy Hannibal as an indulgent feast of entertainment and aesthetics, but everything we consume becomes part of us as well. I’m still figuring out how to understand and write about this show, but I’m looking forward to exploring its delicate balance of ingredients in Season Three, in order to better understand how it enriches and enhances our flavors. And, like snails, I prefer to eat in company: I hope you’ll join me for the feast. That I still shudder at the memory. My lady lay asleep wrapped in a veil. Weeping I saw him then depart from me. 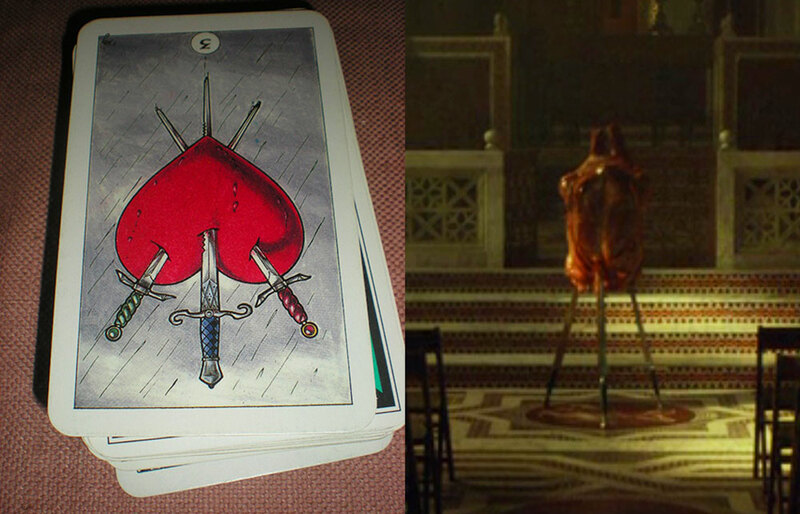 Another comment on Hannibal’s sadness over his “breakup” with Will: the final tableau he sets up is an inverted version of a Tarot card, the Three of Swords, symbolizing heartbreak, sorrow, and grief. Love hurts, Hannibal.